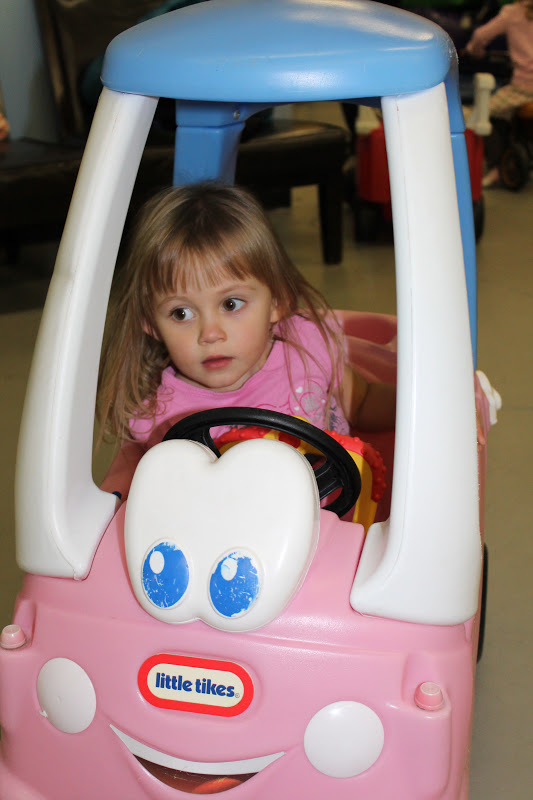 There's a new place on the west side of Edmonton called the Toy Hutch that is pretty fun for kids. 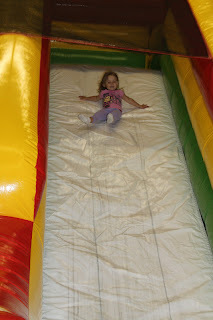 They have three big jumpy castles, lots of toys, a few jungle gyms, and lots of rambunctious kids. If you're looking for a way to tire your kids out, look no further. 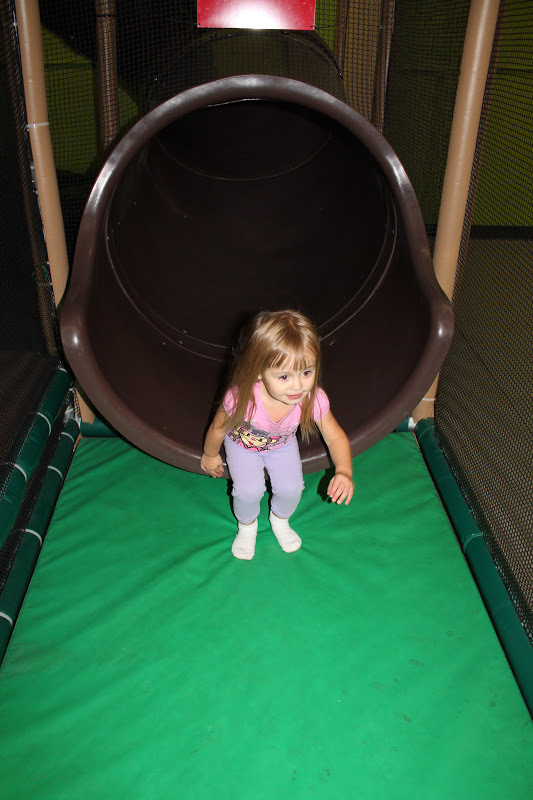 Check out this daredevil flying down a huge slide all by herself! And thanks to our cohorts who met us there, we made it a great morning of playing and lunch out.